Despite the march of time, there still seems to be a good deal of interest in early Hollywood. Older films continue to be restored and screened and eventually released on DVD. Festivals devoted to classic cinema are popping up just about everywhere. And biographies of key figures in the history of the movies are published with some regularity. Fortunately, for local film buffs, the San Francisco Bay Area is a hotbed for those interested in just this sort of thing. Anyone interested in early Hollywood will want to check out at least one of three events taking place in the coming weeks. 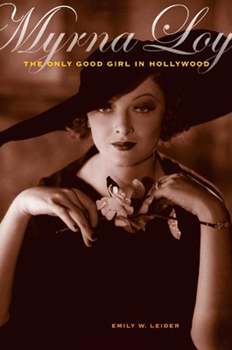 On Thursday, October 27, San Francisco biographer Emily Leider will discuss her just released Myrna Loy: The Only Good Girl in Hollywood (University of California Press) at Bookshop West Portal in San Francisco. Start time is 7 pm. Emily Leider, the author of such acclaimed biographies as Dark Lover: The Life and Death of Rudolph Valentino and Becoming Mae West and California's Daughter: Gertrude Atherton and Her Times, has now penned a thoroughly researched and stylishly written biography of a terrifically accomplished actress and humanitarian who was much more than a list of screen credits. Leider puts it this way in her introduction. From day one Myrna Loy's screen image has conjured mystery, a sense of something withheld, something intriguing because it seems unknowable. 'Who is she?' was a question posed in the first fan magazine article published about her, in 1925. This book attempts to fill in some of the gaps and to counter the relative neglect that has befallen her abundant legacy. I want to remind people of Myrna Loy's prodigious achievement onscreen and of the remarkable person she was. The remarkable person she was included fighting the House Un-American Activities Committee, becoming a UNESCO delegate, campaigning for various Democratic Party candidates, serving John F. Kennedy on the National Committee against Discrimination in Housing, helping co-found the American Place Theater all the while striving for the betterment of the human condition. This first ever biography of the wry and sophisticated actress, best known for her role as Nora Charles -- wife to dapper detective William Powell in The Thin Man (1934), does just that. Myrna Loy details a remarkable life as well as an extraordinary movie career that spanned six decades, while giving us the first full picture of a very famous though very private woman all too often overlooked in the annals of film history. Leider's new book is certainly one of the best film books of the year. On Sunday, October 30, New Yorker writer Susan Orlean will discuss her recently released Rin Tin Tin: The Life and the Legend (Simon & Schuster) at Book Passage in Corte Madera. Start time for this ticketed luncheon event is 12 noon. Local travel writer Don George will introduce. 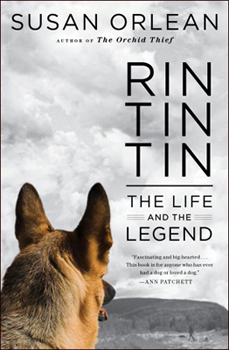 Rin Tin Tin tells the story of the famous canine who went from an orphaned puppy found on a battlefield in WWI to Hollywood movie star in the silent era to international icon and television star during the ensuing decades. Rin Tin Tin is also a poignant exploration of the bond between one man and one dog -- as well as a history of twentieth-century entertainment and the changing role of dogs in the American society. In its review, The New York Times Book Review asked "Do dogs deserve biographies?" In Orlean's hands, the answer is an affirmative "Bark, bark." And on November 16, the Book Passage store in the Ferry Building will host noted biography James Curtis, who will be discussing his just released Spencer Tracy: A Biography (Knopf). A resident of Southern California, Curtis is the author of W.C. Fields: A Biography, which was awarded the Special Jury Prize by the Theatre Library Association and named one of the Notable Books of the Year by the New York Times. It's superb. He is also the author of James Whale: A New World of Gods and Monsters and Between Flops, a biography of writer-director Preston Sturges. Both are acclaimed works. And in 1996, he edited and wrote the introduction to Mae Clarke's oral autobiography, Featured Player. Spencer Tracy: A Biography is a massive, 1024 page look at a legendary figure. Curtis writes of Tracy's boyhood in Milwaukee, his success on Broadway, his distinguished career in films -- including the role of a streetwise priest opposite Clark Gable in San Francisco (1936), his deep Catholicism, his devoted relationship to his wife, his drinking that got him into trouble, and his 26-year-long bond with his partner on-screen and off, Katharine Hepburn. Drawing on Tracy's personal papers and writing with the full cooperation of Tracy's daughter, Curtis tells the rich story of the brilliant but haunted man. Tracy, I might add, also starred in one of my favorite films, the classic Inherit the Wind (1960). Start time for the James Curtis event is 6 pm at Book Passage in the Ferry Building. 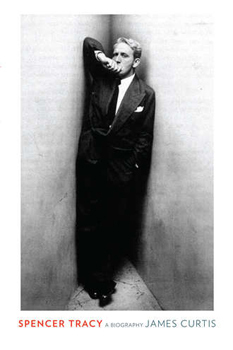 Thomas Gladysz is an arts journalist and early film buff. He is also the founding director of the Louise Brooks Society, and online archive and international fan club devoted to the legendary silent film star. Gladysz has organized exhibits, contributed to books, appeared on television, and introduced the actress's films around the world. In 2010, he edited and wrote the introduction to a new "Louise Brooks Edition" of Margarete Bohme's The Diary of a Lost Girl.